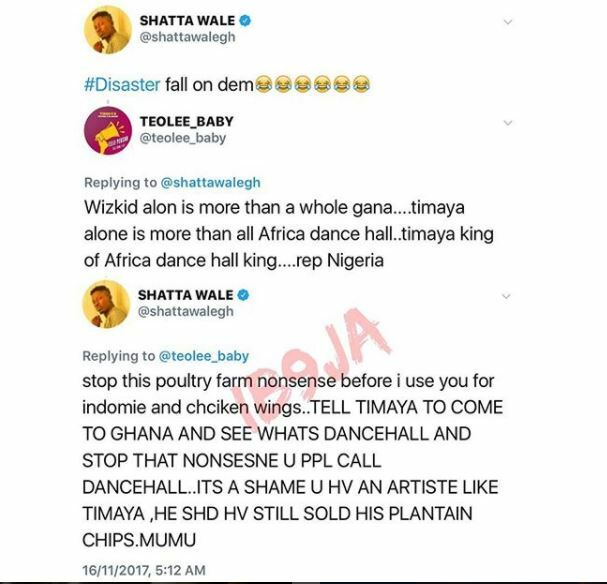 Controversial Ghanaian dancehall Singer, Shatta Wale who has been shooting several shots at Wizkid has turned fire to Nigerian dancehall king Egberipapa Timaya. In his words, Timaya isn’t a dancehall artiste at all, and urged him to visit Ghana to see what real dancehall genre of music is. He however, advice him to go back to his plantain chips business.